BIGGER incentives to encourage commuters to begin their morning journey earlier will help ease morning peak-hour congestion, say transport observers. But its impact is unlikely to be significant if workers do not have flexible working hours. More organisations will have to implement staggered shifts and flexible working hours to significantly reduce the crowds, the experts said. Last week, Transport Minister Lui Tuck Yew said SMRT will increase its early travel discount from 30 cents to 50 cents from Aug 6. Commuters will also get the rebate at 14 stations, up from nine, if they exit before 7.45am. The Land Transport Authority (LTA) will also extend the six-month Incentives for Singapore's Commuters (Insinc) study by 18 months from next Tuesday. It offers commuters a chance to win cash rewards for travelling outside the morning peak hour. 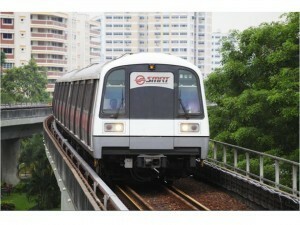 The LTA will also double the maximum cash prize that commuters stand to win each month to $200. Independent transport consultant Tham Chen Munn said the new 50-cent discount is 'quite substantial', as it would nearly halve the cost of a train ride. He suggested that the LTA and transport operators look into offering incentives for evening travel too. Government Parliamentary Committee for Transport chairman Cedric Foo agreed the moves would help shift departure times, but said employers should also be encouraged to shift mindsets and offer staggered working times. Aside from shifting demand, it would help to try and speed up infrastructure works such as the signalling system upgrade, he added. Nanyang Business School transport economist Michael Li said the fare discounts should be extended to every station. It would make it easier to remember and make use of the discount, he said. Mr Chong Wun Hin, 44, said the enhanced discount was 'great news'. The DBS Bank assistant vice-president has been hoping for the Marina Bay station to be included since his office moved.